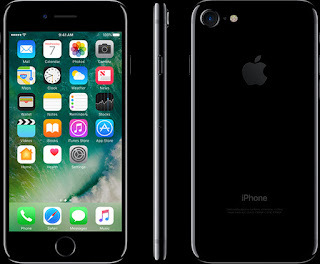 Are you experiencing the issue of no sound on your IPhone 4, IPhone 4s, IPhone 5, IPhone 5s, iPhone 6 Plus, iPhone 6s, iPhone 6s Plus, iPhone SE, iPhone 7, iPhone 7 Plus, iPad, iPad Mini, iPad Air and iPad Pro? This is a very frustrating experience. I remember clearly, during my IPhone 5 days, I had to live mostly with the frustration of IPhone not having the sound problem. But after some thorough research, I was able to know exactly what leads to the problem of IPhone no sound and how to solve it. IPhone no sound for calls, text messages, apps, music etc. If you are experiencing any of the above-listed problems, you need not worry because the solutions provided/approaches below will put an end to all your worries. If you are using a device that has the Ring/Silent switch, position the switch in such a way that you won’t see orange by the switch. Now go to settings, move to Do Not Disturb and check whether it’s off or on. If it’s on, simply put it off. Hold the top/ power or sleep button together with the home at the same time until the Apple logo shows up, then release. Check whether your Bluetooth is ON/OFF. If its own on, then it’s very possible that it’s been connected to a Bluetooth accessory. Go to settings, locate Bluetooth and off. Your IPhone not having sound may be due to a little bug that really means no harm. Restart your phone by pressing Power/Sleep switch together with the home button until the screen on and shows the apple logo. If this is due to a minor bug, then your sound will be back.